The following Event terms and conditions are intended to ensure the safety of all Participants. All entry fees are non-refundable and the Event Organiser retains the right to refuse entry to anyone declaring false information on their entry form, failing to make any required payments, or otherwise failing to meet the stated entry requirements. “Associated Parties” means the Event Organisers, Event Officials, suppliers and/or Sponsors and/or persons for whom it is answerable. “Charity” means an official charity partner of the Event only. “Conditions” means these terms and conditions of entry for the Event(s). ”Disclaimer” means the disclaimer set out in clause 12. “Event” means the event named on the Entry Form and organised by the Event Organiser. “Event Date” means the date of the Event(s), as specified on the Entry Form. “Entry Form” means the Event Organiser’s online registration system which Participants must use in order to apply, register and pay for their entry to the Event. “Event Information” means any and all information provided by the Event Organiser in relation to the Event. “Event Official(s)” means any employee or agent of the Event Organiser or any official, marshal, steward, safety personnel, or other person appointed to officiate at the Event. 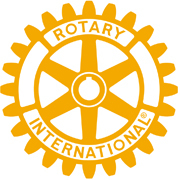 “Event Organiser” means the Rotary Club of Halesowen and Rowley Regis (duly admitted member of Rotary International) care of King Edward House, 82 Stourbridge Road, Halesowen, West Midlands B63 3UP. “Event(s)” means respectively the Halesowen 5k Elite Race, the 10K Road Race and the Family Fun Run. “Participant”, “you”, “your” means the person named on the Entry Form who will be participating in the Event. “Registration” means your registration as a Participant at the Event. “Route” means the route/course to be taken in respect of each Event as set out in the Event Information or as otherwise directed by the Event Organiser. “Sponsor” means any person or organisation that has agreed to sponsor the Event. “Website” means the URL: www.theblackcountryrun.com or such other website used by the Event Organiser. “Withdraw” means to withdraw from the Event. “Withdrawal” means once the Participant has received written (via email or post) confirmation from the Event Organiser acknowledging the Participant’s request to withdraw from the Event. 2.1 The Participant shall complete the Entry Form online and submit it together with payment of the Entry Fee online in accordance with the Event Organiser’s Website. 2.2 The Participant shall not be eligible or entitled to participate in the Event until full payment of the Entry Fee has been received by the Event Organiser. No payment shall be deemed to have been received until the Event Organiser has received cleared funds. 2.3 The Participant acknowledges that all Entry Fees are non refundable. 2.4 By submitting your Entry Form and paying the Entry Fee you agree to enter the Event and also agree to abide by these Conditions and any instructions given to you by the Event Organiser or Event Officials before, during or after the Event. 2.5 The Participant agrees to abide by all applicable rules and regulations of any relevant sporting or other governing bodies that may oversee the Event. The Participant shall not be entitled to a refund of the Entry Fees if he or she is disqualified or ejected from the Event as a result of an infringement of these Conditions or any such rules and regulations. 2.6 The Participants in the Family Fun Run acknowledge that that Event is recreational, and should not be treated as a race or competition. Due to traffic restrictions, you may be held up at certain points along the Route to allow traffic to pass, or to manage the flow of participants. The Event Organisers and Event Officials will not keep any records of your time or placing. 3.1 To register for the Halesowen 5K Elite Race you must be 11 years of age or older on the day of the Event. A maximum of 600 places will be made available to Participants for that Event. 3.2 To register for the 10K Road Race you must be 16 years of age or older on the day of the Event. A maximum of 600 places will be made available to Participants for that Event. 3.3 There is no age restriction with respect to the Family Fun Run. A maximum of 800 places will be made available to Participants for that Event. 3.4 Participants in the Family Fun Run aged between 0 and 11 must be accompanied by an adult. 3.5 Each Participant takes part in the Event at their own risk and must agree to the Disclaimer and these Conditions before participating in the Event. Where any Participant is under the age of 18 as at the date of the Event, his or her parent or guardian shall agree to these Conditions and shall sign the Disclaimer on that Participant’s behalf. If the relevant Participant’s parent or guardian refuses to sign the Disclaimer, he/she will not be permitted to take part in the Event. 3.6 All Participants acknowledge that the Event can be physically strenuous. As such they must be medically fit to participate and take full responsibility for their own personal health and fitness. Participants are strongly advised to consult a doctor before undertaking any strenuous exercise or training programme, or participating in the Event. 3.7 Visually impaired runners: Entries from blind or visually impaired runners are welcome, however all such Participants must be accompanied by a supporting runner. It is strongly advised that the blind or visually impaired runner and his/her guide should be appropriately identified, and must be linked together. A complimentary place will be provided for guide runners. 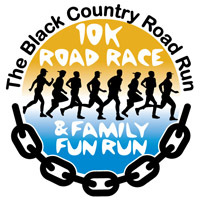 All such entrants must contact the Event Organiser prior to entering the Event by email at info@theblackcountryrun.com. 3.8 The Participant acknowledges that any Withdrawal on medical grounds will not entitle that Participant to a refund of that Event Fee or any other fees payable to the Event Organiser in respect of the Event. 3.9 All Participants must complete the medical questionnaire printed on the reverse of their Participant bib and disclose all health issues and allergies. Failure to complete this questionnaire will result in the Participant being removed from the Route. 3.10 All Participants must attend registration at the times and on the day stated in the Event Information, which will be issued by the Event Organiser before the Event. 3.11 An email address and mobile telephone number are required for all Participants. All correspondence will be via email. 3.12 The Event Organiser will email all communications including newsletters and other relevant Event Information to the email address provided by the Participant at the time of Entry. The Event Organiser shall not be held responsible for any computer malfunctions or other technical anomalies that may occur in the process of sending out such email communications that may lead to failure of receipt of Event Information by the Participant. To ensure receipt of all Event Information, it is the sole responsibility of the Participant to ensure they provide the Event Organiser with the correct email address and postal address and to inform the Event Organiser immediately in respect of any changes. 3.13 The Event Organiser takes no responsibility for items lost or misplaced in the post or, if you fail to comply with condition 3.12, for items dispatched to the wrong address. 3.14 The Participant acknowledges and accepts that circumstances concerning an Event may change from time to time for reasons out of the Event Organiser’s reasonable control or otherwise, without the Event Organiser incurring any liability and without the Participant having the right to Withdraw other than set out in condition 6 below. 3.15 The Route may be subject to change without notice, and without giving the Participant any right to Withdraw. 3.16 With respect to the Halesowen 5k Elite Race, Participants must be of a sufficient standard to be capable of completing that Event within 30 minutes. Participants who have failed to complete that Event within 30 mins of its start will be removed from the Route. 4.1 Prior to and during the Event you will be responsible for your own safety. Each Participant will take all reasonable care to ensure the safety of other Participants and will comply promptly with all instructions and guidelines given by the Event Officials. 4.2 The Participant must not deviate from the Route which will be marked with Event signage from start to finish. There will be Event Officials located along the Route and all volunteers and staff involved in the Event will be clearly identifiable. 4.3 If you retire from the Event you must inform an Event Official immediately. 4.4 All decisions and rulings made by the Event Organiser and, where relevant, an Event Official are final. The Participant acknowledges and agrees that the Event Organiser will organise and run the Event and will have sole authority and be the final arbiter on all decisions relating to the safety, running and organisation of the Event, the rules of the Event, the timings/finish times and the placings. 4.5 It is your responsibility to ensure that you have the correct equipment, footwear and clothing for the Event, taking weather conditions into account. 4.6 Dogs on leads are permitted to accompany Participants only in the Family Fun Run, but for safety reasons you are not permitted to be accompanied by any other type of animal when participating in the Family Fun Run or other Event. 4.7 Your Registration is personal to you, and you are strictly prohibited from transferring, swapping or selling your place in the Event or allowing any other person to wear your Event number and participate in your place. If you are found to be in breach of this condition 4.7, you and the person to whom you have transferred, swapped or sold your Registration will be ejected. 4.8 The Event Organiser reserves the right at any time to remove a Participant from the Event or prevent the Participant participating in the Event if, in the Event Organiser’s absolute discretion, it considers such action necessary for safety reasons, or for the proper enjoyment of the Event by other Participants or for any other reason. No refund of the Entry Fee shall be made if the Participant has acted negligently, maliciously, with wilful misconduct or otherwise without due care and attention for the Event or other Participants, so as to cause his/her removal. 4.9 Throughout the Event, Participants will be checked for their suitability to continue on grounds of capability. If the Event Official and/or medical personnel believe that the safety of any individual will be compromised by their continued participation, they reserve the right to ask that person or persons to stop. 4.10.8 Any other item that could potentially inhibit the flow or safety of other Participants or which the Event Organisers consider may cause danger or risk of danger to you or other Participants. 4.11 Any attempt to use any item referred to in clause 4.10 may result in the forcible removable of the offending items and the ejection of the offending Participant from the Route. 4.12 Fancy dress costumes may be worn, however the Event Organiser reserves the right to prevent you from participating in the Event if the Event Organiser considers that the fancy dress outfit may cause danger or risk of danger to you or other Participants or may cause, or be likely to cause, offence to any person. 4.13 All Participants must display (on their front) a valid running number at all times (even where wearing fancy dress costumes). Unregistered participants are not permitted in the start or finish area or anywhere else on the Route and will be removed from the Route by the Event Officials. 4.14 Resources of the Event Organisers, including medical, hygiene, safety services and drink stations, are reserved solely for Participants. 4.15 All Participants are expected to conduct themselves in a professional and courteous manner during their participation in the Event. Anyone violating this rule of conduct shall be ejected from the Event and will be asked to leave the Route. 5.1.5 a Participant is unable to make sufficient progress along the Route to allow them to complete the Event in line with timelines set by Event Organisers. 6.1 All Participants accept and acknowledge that no refunds will be offered or given by the Event Organiser. This is due to the significant costs and overheads associated with organising the Event which will have been committed or expended in advance of the Event Date. 6.2 Once a Participant has registered for the Event and paid the Event Fee, he/she shall not be entitled to a refund of the Event Fee should any Event be cancelled or should he/she later Withdraw or cancel his/her Registration. 6.3 Entries are non-transferable either to a different Participant or to another Event. 6.4 The Event Organiser reserves the right to alter the start time of the Event. In the event of a change of start time the Participant will be notified of the revised start time with as much notice as reasonably practicable. Participants should be aware that due to matters outside of the control of the Event Organiser, a revision to the start time might happen on the day of the Event. No refund in full or in part shall be made for any change in start time for an Event. 6.5 The Event Organiser reserves the right to change the Event Date. No refunds will be given in the event of such change of date of the Event, where the Participant is unable to attend on the revised date. 6.6 The Event Organiser reserves the right to amend the Event format, Route or distance in their sole discretion or cancel the Event due to circumstances beyond its reasonable control or for any safety related reason. 6.7 In the event of the Event being cancelled there shall be no obligation on the part of the Event Organiser to stage the Event at a later date or at all. 7.1 Notwithstanding anything in these Conditions, the Event Organiser shall not be liable to the Participant for any liability in contract, tort (including negligence) or otherwise for any loss of business, revenue or profits, anticipated savings or wasted expenditure, loss or damage of or to personal equipment belonging to the Participant or any indirect or consequential loss or damage whatsoever (notwithstanding that such loss was within the contemplation of the parties at the date of submitting the Entry Form) arising out of the Participant taking part in the Event or any other matter arising under these Conditions nor for an aggregate amount greater than the Entry Fee paid by the Participant. Without limiting the foregoing, the Event Organiser will not be liable for any actions of any spectators or other third parties unless otherwise set out herein. 7.2 Accordingly the Participant hereby expressly and irrevocably waives, for himself/herself, dependents and successors in title, the right to any recourse or claims whatsoever against the Event Organiser and Associated Parties, as a result of any kind of physical, mental or other loss or damage of whatsoever nature (including any loss of earnings or profits) suffered by the Participant, directly or indirectly, or by his/her family or by any dependents and caused by an event in any way relating to the Participant’s participation in the Event, and the Participant hereby undertakes, for him/herself, dependents and successors in title to indemnify and hold harmless the Event Organiser, and the Associated Parties for any costs and/or amount, which they or any of them may be required to pay as a result of any aforesaid recourse or claim by whomsoever made. The Participant also agrees to indemnify the Event Organiser and the Associated Parties for any claim, actions, liabilities or losses resulting from any breach of the Participant’s declarations above and/or the Participant’s negligent acts or omissions and/or wilful misconduct. e Event Organiser to exclude or attempt to exclude liability. 7.4 This Condition 7 shall be read and construed and shall have effect subject to any limitation imposed by any applicable law. 7.5.2 shall indemnify the Event Organiser and keep it indemnified against any claim made against it by a third party for death, personal injury or damage to property arising out of or in connection with your negligent actions or omissions whilst participating in the Event. 8.1 In the course of registering and participating in the Event, the Event Organiser will collect personal data from you. The Event Organiser may process and use the personal data collected for organisational, administration, research and promotional purposes. You are entitled to request access to, and correction of, personal data collected by the Event Organiser, as well as requiring the Event Organiser to delete your data if you no longer wish it to process it after having taken part in the Event. To make such a request, please e-mail the Event Organiser at: info@theblackcountryrun.com. 8.2 Photos taken during the Event (whether by a photographer authorised by the Event Organiser or by any other person) may be used in the Event marketing literature. By entering the Event you give your irrevocable permission for the free use by any of the Associated Parties of your name, voice or image for recording, broadcasting, advertising, promoting purposes or for any other account of the Event to include inclusion in marketing or publicity materials including national and regional press and on any website and social media accounts owned or operated by any of the Associated Parties. In addition, you agree to any of the Associated Parties storing copies of such photo images or video footage for future use. 8.3 The Event Organiser may also use your details to send you information about future Events which it thinks may be of interest to you. 8.4 Results and prize giving are based on the information provided by the Participant on the Entry Form. 8.5 The Event Organiser may contact you from time to time about the Event and any related activities. Your details will also be passed on to any official Event photographers. The Event Organiser may also pass your details on to third parties who may be providing services to any of the Associated Parties. 9.1 Your entry to the Event will be acknowledged via a confirmation email. If you are taking part to raise money for a Charity you should not start any fundraising until you receive this email. 9.2 By opting to run for a Charity during the entry process you consent to the Event Organiser making your contact details available to the Charity concerned. 9.3 You agree that, as a condition of taking part in the Event, you will communicate to the Event Organisers, within 5 days of the Event Date, the total sponsorship you collected. This is to enable the Event Organiser to publicise the amounts raised by the Participants in the Event. 10.1 These Conditions constitute the entire agreement and understanding of the parties and supersede any previous agreement between the parties relating to the Event. The Participant acknowledges and agrees that in submitting the Entry Form (and the documents referred to therein) it does not rely on, and shall have no remedy in respect of, any statement, representation, warranty, understanding, promise or assurance (whether negligently or innocently made) of any person (whether party to these Conditions or not) other than as expressly set out in these Conditions. 10.2 Nothing in these Conditions shall constitute or be deemed to constitute a partnership between the parties hereto or constitute or be deemed to constitute either party as agent of the other for any purpose whatsoever and neither party shall have authority or power to bind the other or to contract in the name of the other in any way or for any purpose. 10.3 No waiver by either party of a breach or a default hereunder shall be effective unless in writing and signed by both parties and any such waiver shall not be deemed to be a waiver of any subsequent breach or default of the same or similar nature. 10.4 If any provision of the Agreement is invalid or unenforceable, in whole or in part, the validity of the remainder shall not be affected. 10.5 These Conditions shall be interpreted in accordance with the laws of England and Wales and any dispute arising hereunder shall be subject to the non-exclusive jurisdiction of the English Courts. 11.1 You warrant to the Event Organiser that you are, and will be on the Event day, sufficiently fit and healthy to participate in the Event unaided and in accordance with the Agreement. If you are in any doubt you must seek medical advice. 11.2 It is strongly recommended that you train for the Event and prepare for the challenge. If you have not exercised before or for some time, you should consult your doctor before commencing your training for the Event. 11.3 In the event of an accident or illness whilst taking part in this Event, you hereby give permission for the Event Organiser’s medical staff to initiate medical treatment and to inform your next of kin in case of hospitalisation. 11.4 You must complete all the required medical information fields (including next of kin contact number) as requested by the Event Organiser or Event Official prior to participating in the Event. Medical information will only be used to allow medical assistance to be given on the Event date. 11.5 Participants must agree to inform the Event Organiser’s medical staff of any medical or other condition that might affect their ability to take part in the Event. “I declare that I/my child/children am/is/are medically fit to take part in this event and I understand that I/they enter the Event at my/their own risk although the Event Organisers have taken reasonable steps to promote the safety of the Participants. I further declare that I had the opportunity to read the terms and conditions of entry.